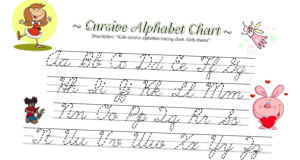 Cursive alphabet charts for children. Practice your cursive letter writing skills with our free printable alphabet charts for kids. Download and print our variety of writing charts in pdf formats. 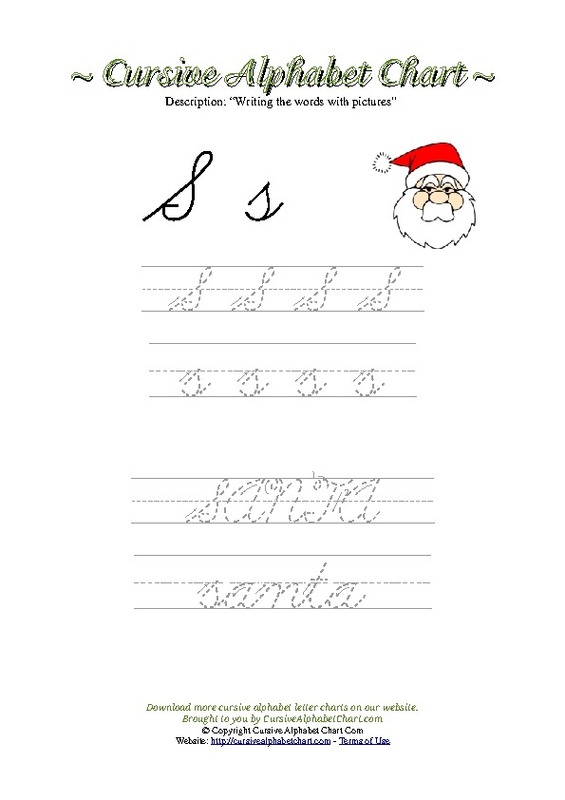 These free cursive writing printables for kids is available in many formats for you to choose from. Practice your cursive writing skills with uppercase and lowercase charts, including charts with arrows. Cursive writing is extensively practiced in school using methods such as the Palmer method, D’Nealian and Zane-Bloser styles. Print our ready made pdf formatted cursive templates. Our cursive letter charts from A to Z come with and without lines, arrows, uppercase and lowercase, kids themed charts and more! Writing practice charts suitable for 3rd grade, 4th grade and up! Write in cursive with alphabet letters and words with pictures. 116 high quality pdf cursive writing worksheets to print. For all our charts, please choose a selection from the menu.